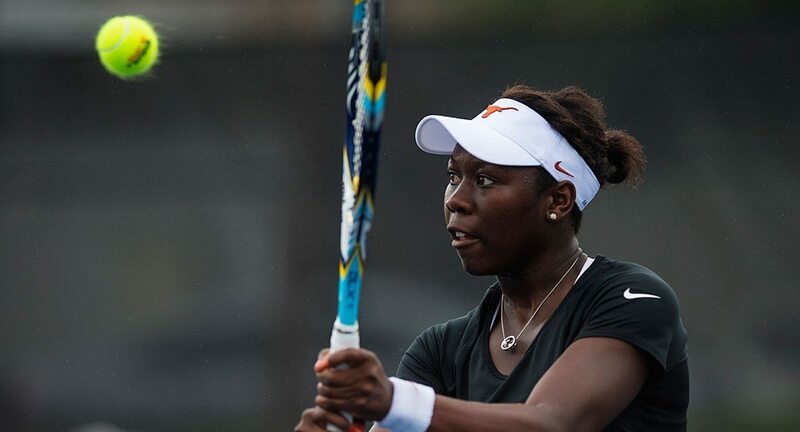 Two-time All-America Breaunna Addison and sophomore Dani Wagland won in singles and doubles to help lift the University of Texas women's tennis team to a 4-3 victory over No. 4 Michigan (photo courtesy of texassports.com). AUSTIN, Texas — Two-time All-America Breaunna Addison and sophomore Dani Wagland won in both singles and doubles to help the Texas women’s tennis team knock off No. 4 Michigan, 4-3, at Whitaker Tennis Courts.